The Kentucky Derby Festival, held every year in Louisville, hosts more than 1.5 million people attending over 70 events including the Marathon and Half Marathon. The course is scenic, yet challenging, and includes stretches through Iroquois Park and Churchill Downs. ProRehab is the Official Physical Therapy Provider of the Kentucky Derby Festival Marathon and Mini Marathon. We work in conjunction with Norton Sports Health to support walkers and runners along the course and at the finish line of the race. Our physical therapists and Certified Athletic Trainers provide injury support, tape, and stretch participants before and after the race. Ahead of the race, our staff attends the Tuesday and Saturday Training Runs, where we provide pre-run stretching. Girls on the Run is a 501(c)3 nonprofit organization dedicated to creating a world where every girl knows and activates her limitless potential and is free to boldly pursue her dreams. They inspire girls to recognize their inner strength and celebrate what makes them one of a kind. Trained coaches lead small teams through a research-based curricula which includes dynamic discussions, activities, and running games. Over the course of the ten-week program, girls in 3rd-8th grade develop essential skills to help them navigate their worlds and establish a lifetime appreciation for health and fitness. The program culminates with girls positively impacting their communities through a service project and being physically and emotionally prepared to complete a celebratory 5K event. We are proud to be one of Girls on the Run Louisville’s main sponsors. Healthy Roster is an injury documentation tool with one mission: keep kids active and healthy. It gives parents and coaches peace of mind when their youth athletes get hurt. Their Virtual Athletic Trainer App and Injury Communication Platform quickly and easily connects parents and coaches with Certified Athletic Trainers from local sports medicine groups they know and trust to treat their child and get them back on the field. 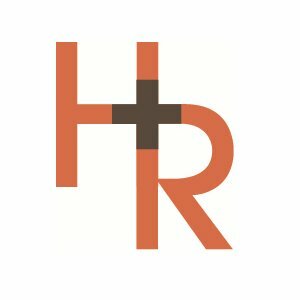 ProRehab has partnered with Healthy Roster, a FREE mobile app, to connect athletes with our expert Physical Therapists. Here’s how it works: when you become aware of an injury, connect directly with a ProRehab Therapist through the app. Enter injury information and a Therapist will contact you to help guide you through recovery. Download HEALTHY ROSTER from the App Store or Google Play. Louisville Collegiate School is a JK-12, co-ed independent day school located in the historic Highlands neighborhood in Louisville. Louisville Collegiate School has athletic programs and offerings for students in Kindergarten through 12th Grade. Individual and team offerings include: Soccer, Cross Country, Field Hockey, Golf, Basketball, Swimming, Indoor Track, Crew, Lacrosse, and Tennis. ProRehab Physical Therapy is proud to provide athletic training services for Collegiate. Go Amazons! NewsRadio 840 WHAS is the official broadcast partner for University of Louisville football and men’s basketball. 840 WHAS is Kentuckiana’s news, weather and traffic station. ProRehab Physical Therapy sponsors a daily sports update with Paul Rogers, the voice of the Cardinals, with physical therapists serving as guest experts. Cards Radio 790 KRD is an iHeartMEDIA radio station featuring 10 hours of live, local programming each weekday focused on University of Louisville athletics. The station provides play-by-play coverage for University of Louisville football, men’s basketball, and women’s basketball games. 790 KRD is also the official broadcast partner for the Louisville Bats, Louisville City FC, and Cincinnati Bengals. PRPT Physical Therapists appear weekly as guest experts on Louisville First, hosted by Howie Lindsey, to discuss current and relevant injuries, answer sports medicine questions, and more. Louisville First airs 7AM – 10AM Monday – Friday, but you can catch our segment on Tuesdays at 7:20 AM. St. Francis is a Louisville-based private college preparatory day school. St. Francis’ athletic programs include Baseball, Basketball, Bowling, Field Hockey, Soccer, Tennis, Track & Field, and Volleyball. ProRehab Physical Therapy is proud to provide athletic training services at St. Francis. Go Wyverns! Lou Ott Baseball trains and conditions aspiring All-Stars ages 7 and up to achieve athletic merit in the sport of baseball. Through private instruction and group training, Lou Ott Baseball combines physical and mental aspects of the sport to initiate players major league aspirations. ProRehab Physical Therapy is the exclusive physical therapy provider of Lou Ott Baseball. Derby City Crossfit offers seminars, beginners courses, and group workouts made up of various functional movements performed at high intensity and designed to get you in the best shape of your life. Open since 2009, their expertise and dedication to development are first-rate! ProRehab Physical Therapy is the preferred physical therapy provider of Derby City CrossFit. In addition to treating athletes with injuries and returning them to Derby City CrossFit as quickly and effectively as possible, ProRehab’s sports physical therapists will work with athletes to maximize participation and performance. A ProRehab physical therapist may use a variety of the following interventions to prevent and treat sports related injuries, including pre-participation screening, cardiovascular, resistance, endurance and neuromuscular re-education exercise programs, taping and bracing, sports specific ergonomic and training regimens, Blood Flow Restricted Training, and orthopaedic and manual physical therapy.